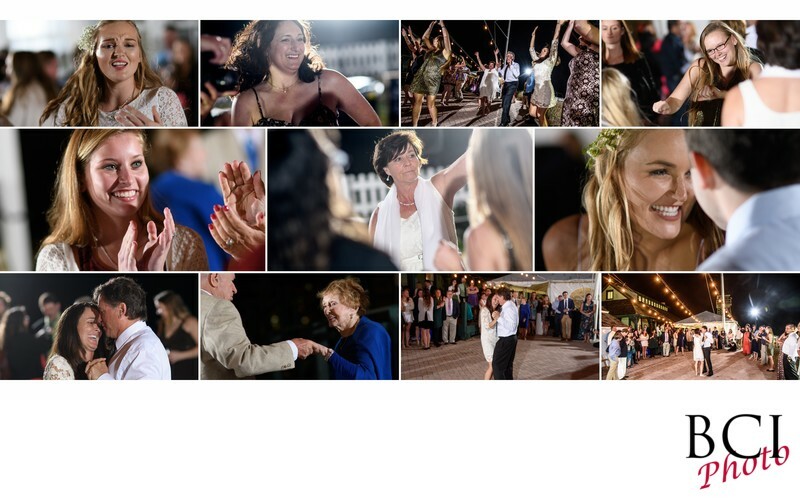 This is a bridal album page design features the bride and grooms reception at the house of refuge in stuart florida. Great reception lighting is one of our hallmarks. As you can see this wedding reception was totally out in the open. Our dynamic lighting makes this a snap.